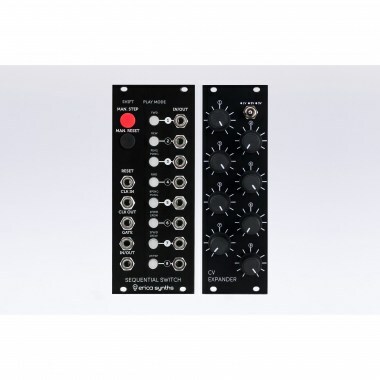 Erica Synths Sequential Switch CV Expander turns the Sequential Switch into a powerful CV/Gate sequencer, it connects to the Sequential Switch via ribbon cable supplied with a module. Eurorack модули Erica Synths Sequential Switch CV Expander V2 Вы можете купить по выгодной цене в наших музыкальных магазинах в Москве и Санкт-Петербурге, интернет-магазин, доставка по России. 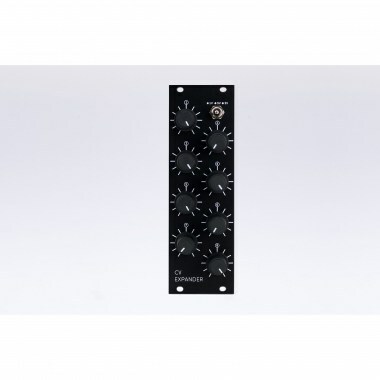 Erica Synths Sequential Switch CV Expander turns the Sequential Switch into a powerful CV/Gate sequencer, it connects to the Sequential Switch via ribbon cable supplied with a module. 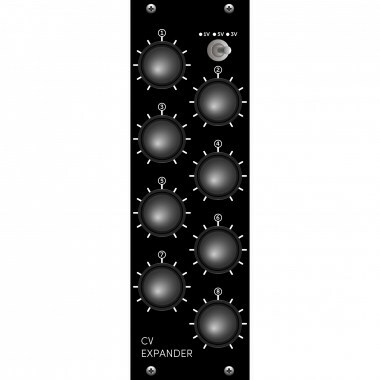 CV Expander doesnﾒt require a power supply, it draws power from the Sequential Switch. Refer to the picture below on how to connect both modules! Sequential Switch CV Expander is connected to the Sequential Switch via IN/OUT jack switching lugs, which means that if you patch something into IN/OUT jack, the relevant input gets disconnected from the CV Expander. If you use SS with CV Expander connected to sequence sound sources, make sure, you skip all steps that are not used (no patch cables connected)! If you do not do that, the DC from the CV Expander will get into the audio path and you will hear an undesired click.